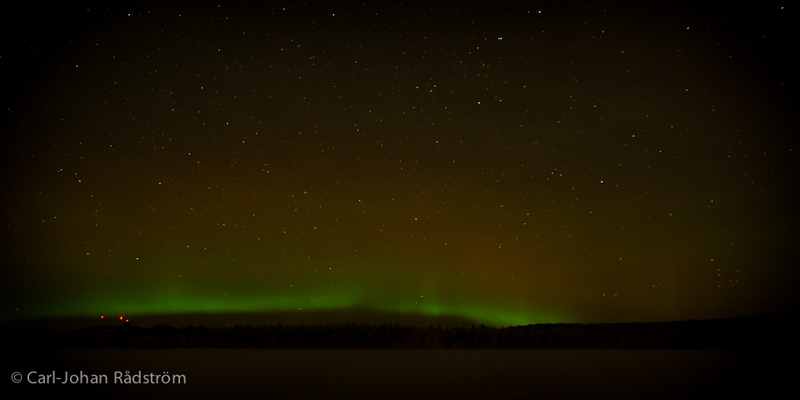 Aurora borealis over lake Stamjön. I always look at the aurora forecast Geophysical Institute i Alaska makes. And last night the aurora activity was predicted to be moderate. The aurora wasn’t as strong as I had hoped. But, I think I captured a pretty decent image.